Deutsche Bank is expanding in Saudi Arabia and the United Arab Emirates as the lender expects sovereign bond sales and initial public offerings to drive deals this year. The Frankfurt-based bank plans to hire in Dubai and Abu Dhabi to cover sovereigns and large corporates, Jamal Al Kishi, chief executive officer for the Middle East and Africa, said in an interview in Dubai. It’s also built its team in Saudi Arabia to about 90 people on expectations that the nation’s stock exchange may be upgraded to emerging market status by two major index providers this year. Deutsche Bank’s expansion plans for the Middle East come as the lender is said to have started cutting at least 250 jobs globally at its corporate and investment bank to keep a lid on expenses amid a sustained slide in the securities unit. In the past few weeks, the bank trimmed senior and mid-level investment banking positions in locations including London and the US, according to people familiar with the matter. The lender is also targeting the Middle East as a priority region for wealth management and is seeking to hire relationship managers and expand the products it offers to wealthy clients in the region, Peter Hinder, head of wealth management for Europe, the Middle East and Africa and Switzerland, said in July interview. 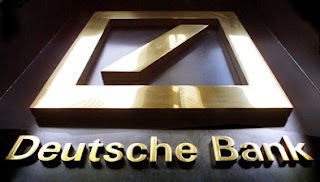 Deutsche Bank was the eighth-biggest manager of bond and sukuk deals in the Gulf Cooperation Council last year as regional sales rose 18 percent to a record $85 billion, according to data compiled by Bloomberg. Oil-exporting countries are tapping debt markets to bolster public finances after crude prices slumped. International investor interest in Saudi Arabia remains high despite a three-month anti-corruption campaign in November that involved hundreds of the kingdom’s wealthiest individuals including princes, billionaires and government ministers. Deutsche Bank’s “recent client meetings with authorities from the CMA and Tadawul in London at the back end of 2017, then with SAGIA in Davos just a few weeks ago, have shown strong institutional and real-money interest in the Saudi story,” Al Kishi said.